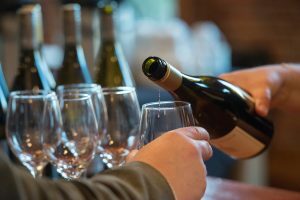 A team of six Linfield College students has been awarded the Grand Prize in the inaugural Intercollegiate Wine Business Invitational (IWBI), taking top honors against teams from Penn State University, Michigan State University, Washington State University, the University of Houston and Florida International University. The wine business planning competition required each team to create a wine brand, a label, a business plan and financial models for cost of goods and distribution prices for a $25 red wine blend from California. The Grand Prize was awarded to Linfield for its cohesiveness of all three components as well as for presenting extra information and research that represented their brand. 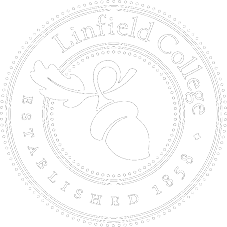 The Linfield team crafted the brand “Alianza.” Students on the Linfield College team were Samantha Weymouth, Nathan Saragoza, Hanna Bingham, Luca Mallon, Alexandra Bushman and Cassidy Robinson. The students met weekly with faculty advisors from the business and wine studies departments: Greg Jones, Virlena Crosley and James “Russ” Paine. Paine said that initially students were intimidated about going up against larger schools. “We got over that pretty quickly,” he said. The IWBI was created by Master of Wine Tim Hanni and WineBusinessEducation.com. The goal of the IWBI was to provide a hands-on learning opportunity for hospitality, wine business and general business students by creating an engaging and realistic wine business recreation environment. Participation can result in future winemakers, marketers and buyers in both restaurant and retail environments who understand how the wine industry works. This entry was posted in Latest News, Press Releases and tagged Alexandra Bushman, Cassidy Robinson, Greg Jones, Hanna Bingham, Intercollegiate Wine Business Invitational, IWBI, James "Russ" Paine, Luca Mallon, Nathan Saragoza, Samantha Weymouth, Tim Hanni, Virlena Crosley. Bookmark the permalink.